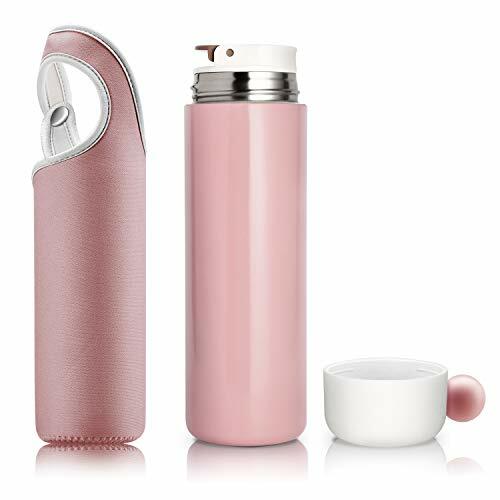 Elegant Life thermoses' design idea is inspired from the rounded and curvy body shape from dolphin, and this cup is not just looks nice like a dolphin, it is also very versatile in function and very friendly to use, just smart like a dolphin as well. The creative silicone ball cover is removable to be use as a cup. All the raw material had passed the FDA test to make sure the are safe and contain zero lead and zero BPA. Inner lid can be used to drink directly or pour the liquid out. One button to open or close the lid, can be easily operated with just one hand. Silicon O-ring inside the lid is removable for cleaning, keeps the thermoses clean and safe. Dual layer sealing, double the insolation performance. Anti-slip, noise suppressed TPE bottom design. Please read the user's manual thoroughly before start using the Elegant Life thermoses. If you have any question about the product, please reach our 24H customer service for help.